It hasn’t been a great year for aid charities so far. Public outcry about abuse and unethical behaviour in the high profile examples of Oxfam and Save the Children has been inflamed by opportunists, who have tapped into a constituency of popular disdain for the aid industry, and a certain resentment towards the holier-than-thou language and attitudes of the charity world. This crisis of confidence arising from the scandals has led to apologies from many in the sector and some tangible commitment to change. 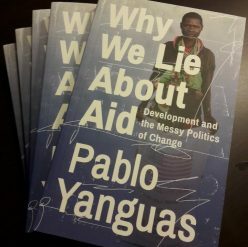 But without a change in the underlying strategy and messaging of aid, there is zero guarantee that good intentions and gestures alone will forestall future attacks.